Since I started the Portland Orbit, I had the idea that other cities could have their own Orbit, but I didn’t consider how I could accomplish this. Once I started blogging, I spent all my spare time on the content of the blog so franchising became a forgotten dream. Then my old friend Will Simmons and I were emailing about something and he planted the seed of starting the Pittsburgh Orbit. I wrote him back and said, yeah, that would be really cool, no pressure or anything and he was hesitant, but the next thing I knew not only had he started the site, he was blogging like a fiend and the content was amazing to me. 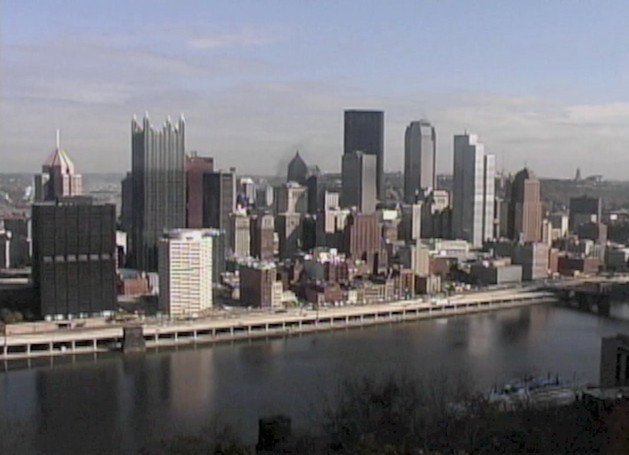 Pittsburgh flood markers, a jaws tombstone and gum graffiti are just some of the topics Will has written about. Writing like a professor on some kind of academic steroids, his thoughts are far from stuffy, they’re alive, comical, sometimes sad but always engaging. If this is to become a west coast east coast rivalry I can only hope it remains friendly. Will is raising the blogging bar so high that I’m not sure my nephew John could high jump over it. The Portland Orbit recently posted a piece on a baby doll strapped to a car while the Pittsburgh Orbit ran an expose on a dead mall in suburban Pittsburgh. Baby doll vs dead mall, mono brow vs high brow, I don’t know, it could be a west coast/east coast thing, only time and continued writing will tell. 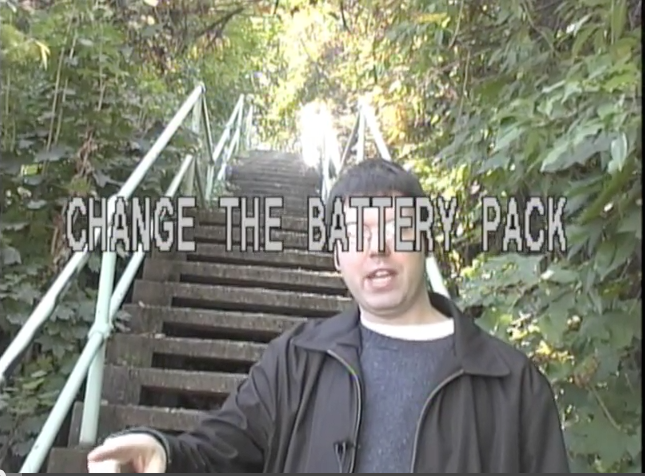 It was over ten years ago that Will helped me produced a video about Pittsburgh for a public access television series I was producing. Without much direction, Will stepped into a producer and TV host role with ease. He guided us to great material for segments then drove us around as the camera rolled and we got to know his city. Will is the kind of guy who is always willing to help, has great ideas and loves talking about Pittsburgh. We welcome the Pittsburgh Orbit to the blogosphere. There can’t be anyone more proud and excited to be reading the thoughts of Will Simmons on the city where he has been a long time resident, a place he now considers his adopted hometown. It’s going on 20 years, if memory serves me well, and much of that time has found Will, camera in hand, exploring his surroundings. The idea of him sharing his Pittsburgh enthusiasm with me and other readers means we’re in for some good reading. Whether you’ve lived in Pittsburgh, visited or even if you’re unfamiliar with the city but you enjoy absorbing curious culture about a specific locale, I know the Pittsburgh Orbit will provide enjoyment to anyone in any of these categories. 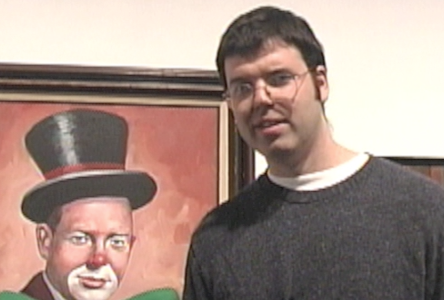 Will Simmons takes Clown Art serious. Hello! Alexandra Oliver referred me to you. We’re looking to invite any Pittsburgh bloggers interested in attending to a networking event at a formerly shuttered, 100 year old North Side house turned BnB . More info at http://www.alleghenyinn.info Hope to see you~!